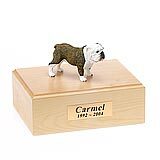 "Hi, I did receive Sam's Keepsake and do appreciate your help and concerns on receiving the product. 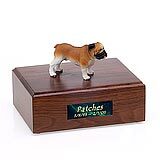 I am very satisfied with my product and your company has been very kind and wonderful to work with. " 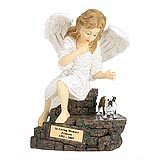 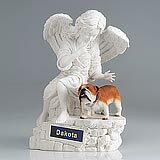 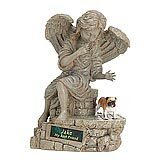 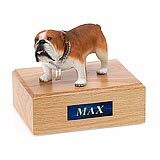 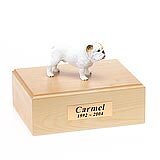 All available Bulldog dog urns and memorials will be displayed with the figurine on the Bulldog urn you select and in the appropriate size.